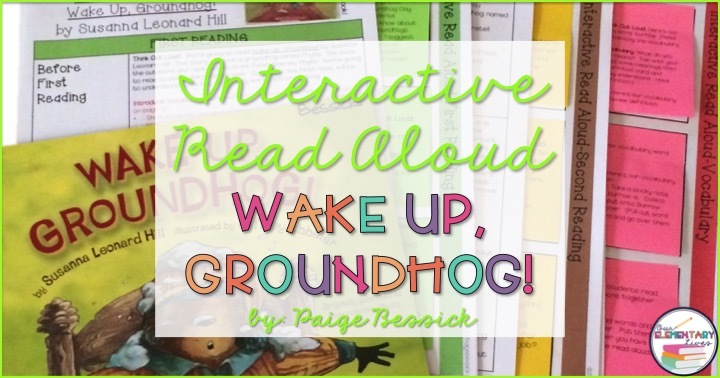 Interactive Read Aloud: Wake Up, Groundhog! 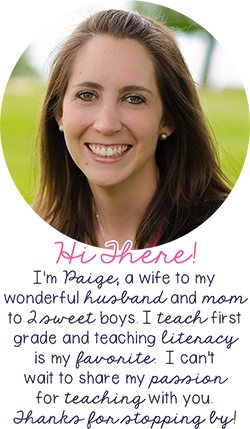 I'm here today to share with you another Interactive Read Aloud resource in my Teachers pay Teachers store. As February is right around the corner, so is Groundhogs day. This fun holiday always catches me off guard being the second day of the month. Prepare now by checking out >>THIS<< resource. **This post contains affiliate links to Amazon. By purchasing an item on the Amazon site using these links, I will receive a small commission on your purchase. This helps me to continue writing this blog and providing you with these tips and ideas. Thank you! 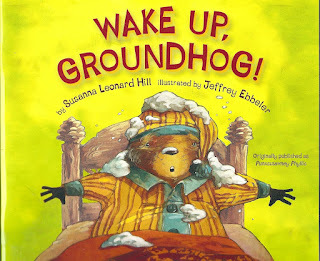 While there are a number of Groundhog Day books out there, this one is definitely my favorite. Wake Up, Groundhog! originally called Punxsutawney Phyllis, is about a female groundhog who is trying to convince her Uncle Phil that she should be the next Punxsutawney Phil. Click the image or >>HERE<< to buy from Amazon. I love this book and the students love reading it, especially my girls! We always have a wonderful discussion about girls doing any job they want. I love this resource and everything it includes. 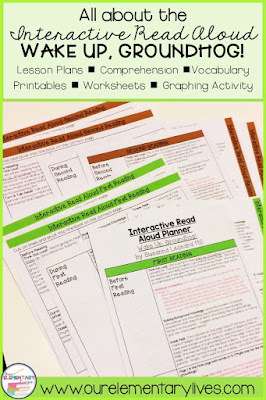 If you've ever read any of my other blog posts about other Interactive Read Aloud resources, this one includes the same things. You can see blog posts about these books: My Mouth is a Volcano, Chrysanthemum, First Day Jitters, Last Day Blues. This resource has everything that is typical in one of my Interactive Read Alouds, but it also includes some great extras that I think you're going to LOVE! Click >>HERE<< or on the image to be taken to the resources in my TpT Store. This resource includes detailed directions, comprehension and stopping points for 2 complete readings. 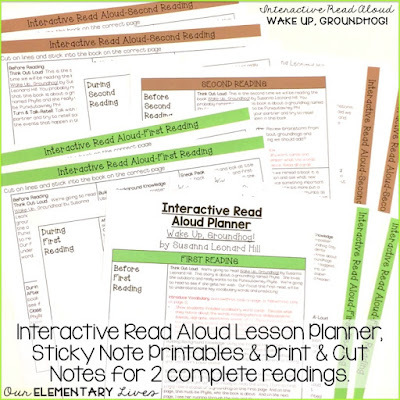 These pages include everything you need to give the interactive read aloud and 2 options for planning: printing on sticky notes and print and cut notes. 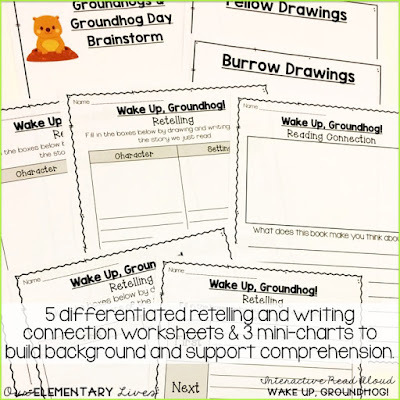 This resource includes 5 differentiated worksheets for retelling and story elements. It also includes some mini-charts to support building background knowledge and vocabulary. 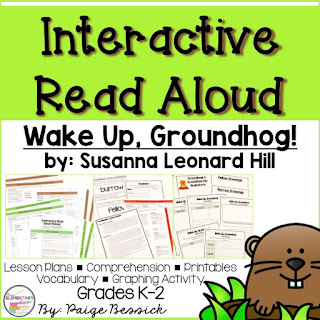 Like most of my Interactive Read Alouds, this one also includes vocabulary resources. 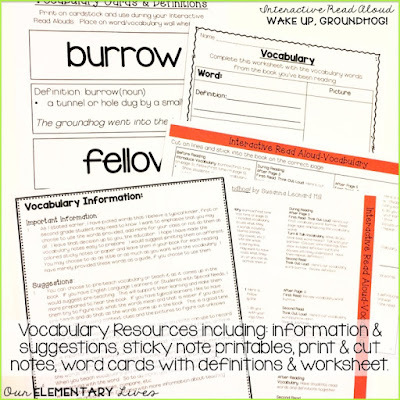 The vocabulary words for this resource are burrow and fellow. Also included is a vocabulary information sheet with ideas and suggestions, sticky note printables and print and cut notes for just the vocabulary words as well as a worksheet your students can use to define and support their learning. 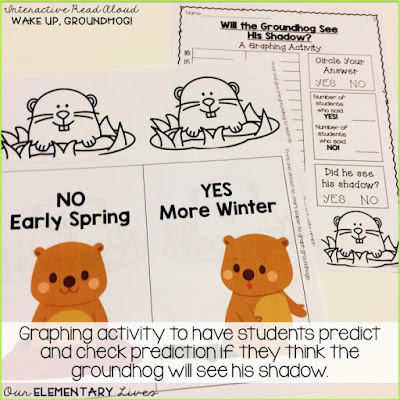 The last thing this resource has are materials for your students to predict if they believe if the groundhog will see his shadow. On February 1st, or before if it's over the weekend, have your students color one of the black and white groundhogs and use a pocket chart to create a graph. Then complete the graphing worksheet. My kids love this activity! I love this resource and I hope your students will too! Want more resources like this one? Check out >>THIS<< resource or >>THIS<< blog post.